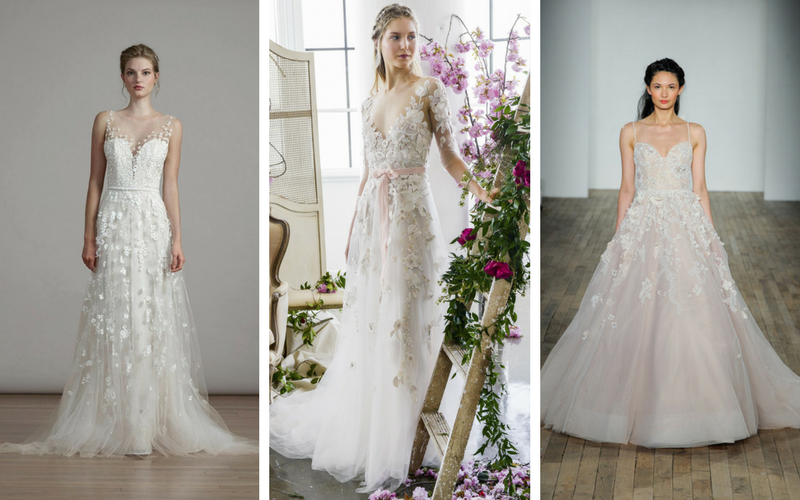 Are you searching for a wedding dress that’s perfect for your spring nuptials? 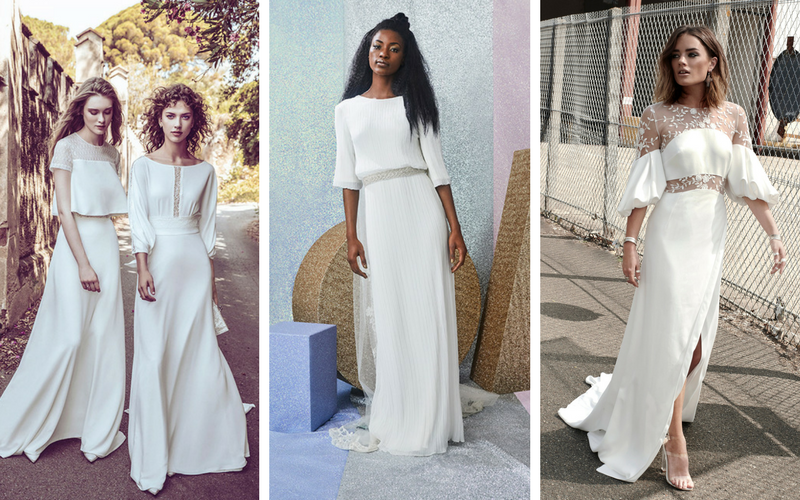 The spring 2018 gowns have arrived in boutiques across the nation, meaning if you’re a spring 2019 bride you’re in for a treat! Spring in Northern Ireland and Ireland often means battling changeable weather in an unpredictable season: some days you could be basking in glorious sun, and others you could find you’re bracing against wind, rain and sometimes even snow! (Yes, we had snow in APRIL this year!) However, despite this we think spring is one of the prettiest months to get married- Think pastel tones, soft florals and fresh decor – pure bridal bliss. Gorgeous, feminine and utterly romantic floral bridal gowns are a pretty way for girly, chic brides to make a statement on their wedding day. Although it’s more common to be carrying flowers in the form of bouquet or decorating your venue with them, this season it’s all about how you’re wearing them! 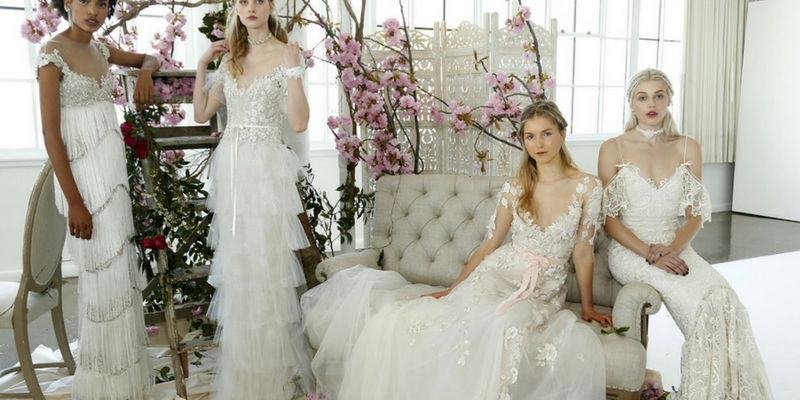 This season’s gowns offer a number of ways for brides to embrace florals, whether intricate lace embroidery or pretty three-dimensional appliqué designs there are styles to suit any theme or venue and adds a youthful, fun and fresh vibe to your big day. 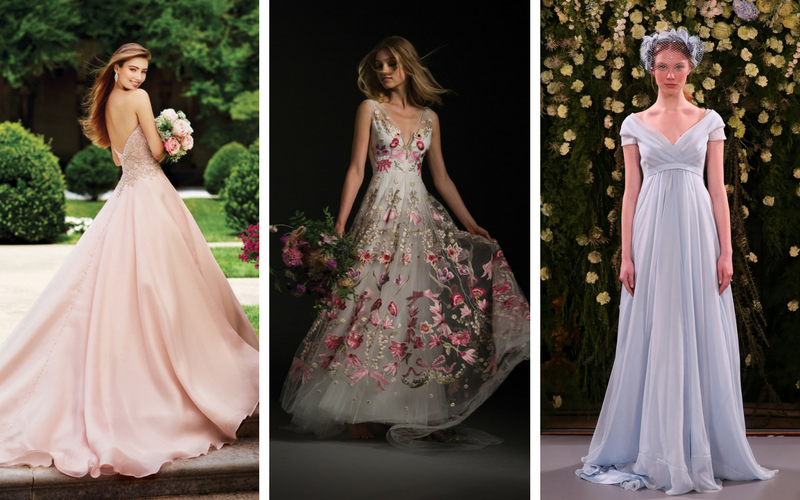 Pastel tones have been hot on the catwalks for the past few years for daring brides-to-be looking to do something a little bit different on their big day! Style wise, spring is the season to have fun with your wedding dress, and pink is (unofficially) the colour of the moment, so why not embrace this trend and opt for some feminine blush tones – the perfect season for blush! Other colour options include incorporating coloured flowers or opting for a chic little blue number a la Jenny Packham in her latest collection. A soft jacket, cape or cover-up is a smart choice for a rainy April wedding! This Halfpenny London design is a stylish option for brides. 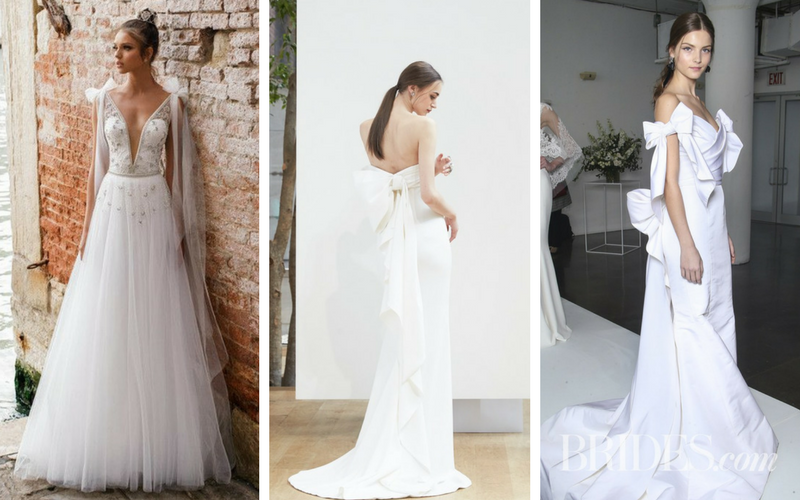 For a spring wedding in NI/ROI, the best plan for unpredictable weather is to opt for a dress that offers a medium level of coverage and warmth: think wrap styles, full length skirts with a slit and feminine cap sleeves. When we think of spring weddings we conjure ideas of pretty decor, accessories and dresses, and one detail that is hot for spring 2019 brides is bows! Bows are big (literally) in the wedding world right now and many of the world’s leading designers opted to include bows on their dresses. The bigger and bolder they are- the better! 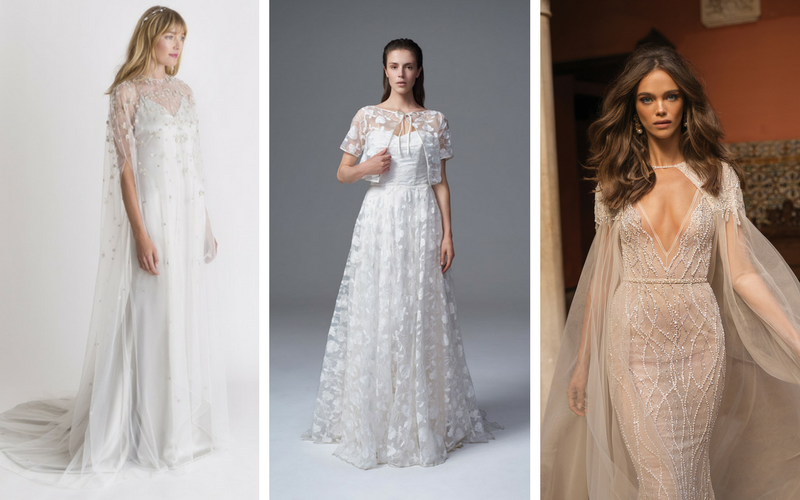 They can be worn to the front, side or on the back of your wedding dress – as long as they can be seen and admired you’ll have nailed this trend for spring! Oh-so-chic and effortlessly cool, if you are a boho bride who wants to stand out from the crowd whilst showing your guests you’re the ultimate fashionista then this is the trend for you! Best suited to smaller busted brides, unstructured, floaty and ethereal designs are the perfect look for a trendy spring wedding. Pair with loose wild flowers, and pastel tones to complete the look. For more inspiration, help and advice on bridal fashion in Belfast, check out our recommended suppliers on our directory HERE.